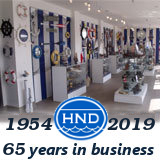 This Hampton Nautical Floor Standing Antique Copper Theodolite 62" is beautifully detailed, functional, and calibrated. Theodolites are still used today for ultra high precision optical alignment and measurement. The azimuth and elevation axes can be read on a vernier scale with the aid of built-in magnifiers. Both axes have slow motion controls and the telescope can plunge and reverse to reduce bearing errors. With a magnetic compass mounted on top, the azimuth axis has a second spirit level mounted on the telescope with a mirror to assist in leveling while the telescope utilizes precision optics and has an antique copper lens cover. 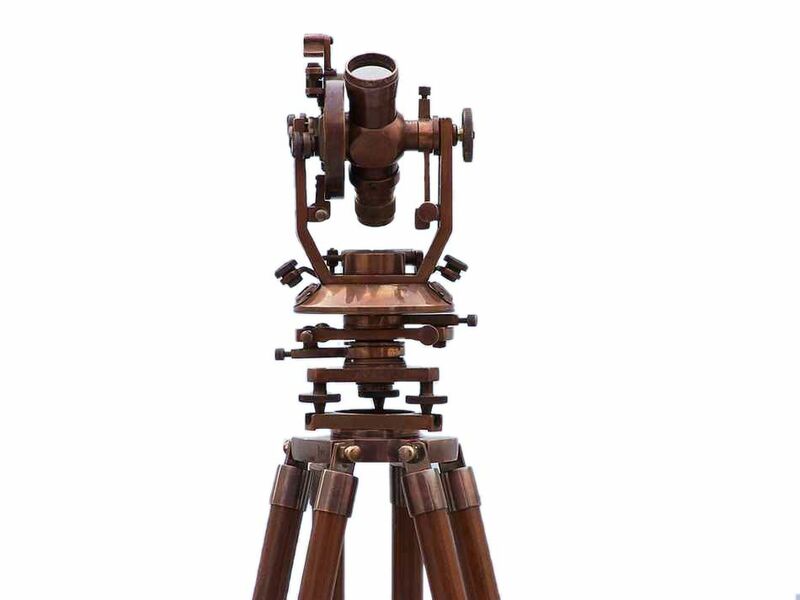 The theodolite's 22-power non-inverting telescope has two focusing adjustments; one for the precision reticule focus and another for focusing the target. The wooden tripod stand features smooth, polished round legs, each with antique copper fittings, and a screw release to let you adjust the height. An antique copper chain holds the three wooden legs together so the telescope can maintain its position.